Capitals defenseman Brooks Orpik was missing again after suffering a lower-body injury last week. Orpik, who hasn’t practiced since Saturday, will miss his fourth consecutive game. Defenseman Madison Bowey will take the 38-year old’s spot in the lineup again. Still no sign of defenseman Brooks Orpik, who will miss his fourth straight game with a lower-body injury. Hasn’t practiced since last Saturday. No surprise here but goaltender Braden Holtby will start against the Penguins on Wednesday night after Pheonix Copley started in the team’s 4-2 win over the Edmonton Oilers on Monday, when made 31 saves. Holtby has lost each of his past three starts, going 0-2-1 and allowing 13 goals in that span. In case you missed it, the Capitals will hold a ceremony for center Nicklas Backstrom before the game. Backstrom tallied his 600th NHL assist in a 5-2 win over the Vancouver Canucks on October 22. No change in Caps’ lines for Pens game. 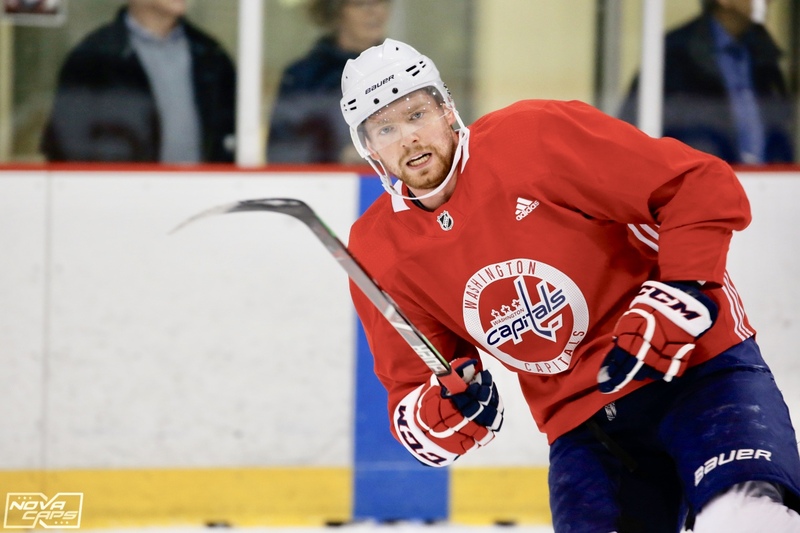 This entry was posted in Daily Report, Lineups, Morning Skate, News, Washington Capitals and tagged Braden Holtby, Brooks Orpik, Harrison Brown, Madison Bowey, Morning Skate, Nicklas Backstrom, Washington Capitals. Bookmark the permalink.